Submitted 4 years 3 weeks ago by feeds_user. The spring assisted Vanquisher from Tac-Force features a black powder finish stainless steel clip point blade with ambidextrous thumb studs. It sports a finger ring flipper with a skull expertly designed around the ring. 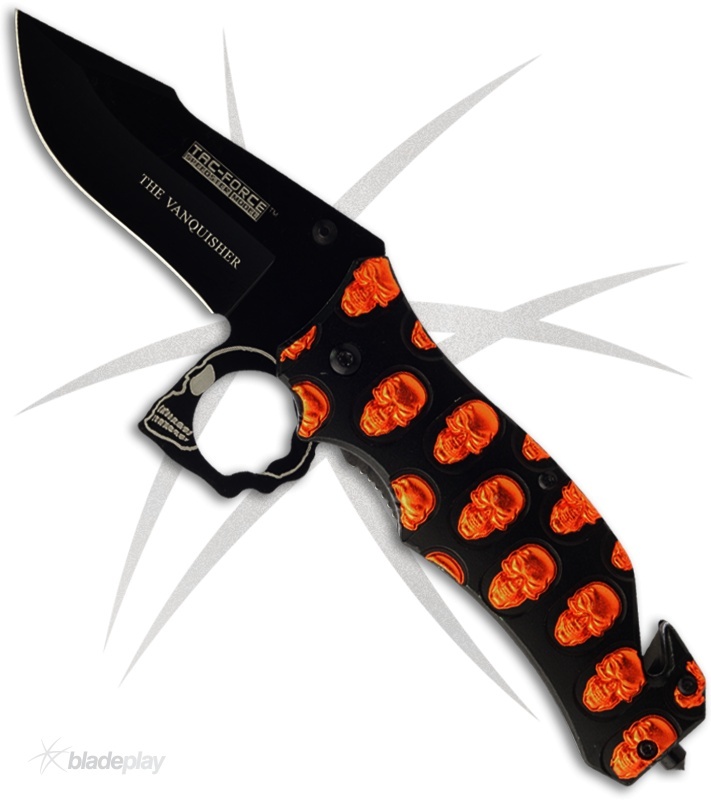 The handle has black aluminum scales with a myriad of raised orange skulls over stainless steel liners.